Explore Taipei’s food scene with a local guide. 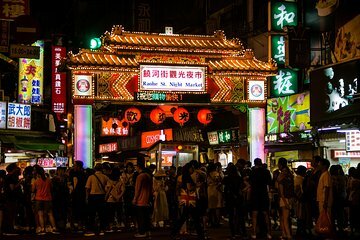 Visit two of the city’s most notable markets—Dongmen Market and Raohe Street Night Market—and marvel at the sheer amount of vendors and variety in both locations. Lunch and a glass of bubble tea is included, but never fear: there is food all around available for purchase! Your guide navigates the metro trains with you, so no need to worry about getting lost.